At Schumacher Buick GMC in North Palm Beach, Florida, our staff is dedicated to helping you find the right financing options. Our expert team members and online tools determine which payment plan you need to feel comfortable driving off in your new or pre-owned car. Our finance professionals are prepared to help you bring home a car you’ll love with the best loan or lease rates and a payment plan that’s tailored to your needs. By simply giving one of our sales representatives basic personal and residential information, you can get pre-qualified for financing in minutes. 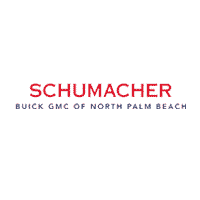 Discover exciting Buick and GMC lease deals in North Palm Beach, FL, at Schumacher Buick GMC. If you’re interested in more information on loans and leasing, call our sales team at (561) 693-2291.